If you know what the word dehydrate means, you have probably figured out that in order to dehydrate food, you need to remove all the water in the food. You may also be wondering why someone would attempt to dry food in the first place, but it is pretty simple. Dehydrating foods is a very easy way to preserve food and make it last longer. It is a process that has been practiced for many years, and it is one of the oldest methods of preserving foods. Dehydration of foods is a process that is carried out as an alternative to canning or freezing food. The dehydration process is relatively inexpensive and dried foods take up less space than canned foods. Moreover, dehydrated foods do not require freezing; so that’s one less expense after the process is complete. Because dehydration removes all the water or moisture from foods, it makes the food item smaller and lighter. The dried food is preserved because the lack of moisture prevents the growth of microorganisms such as bacteria and yeast. Enzyme reactions are also slowed down; hence, the food will take a very long time to spoil. Many types of foods can be dehydrated. Whether meat, fruits or vegetables, the water content of a food item can be eliminated over a period of time. However, some food items are more suitable for drying than others. During dehydration, the nutritional value of food remains unaffected for the most part, and if the food item is ‘home dried’, even less damage is done to the nutrient content of the food. This is because home drying usually involves less harsh temperatures. Actually, the nutritional value of a food item is more likely to be affected if it is frozen or canned. Freezing and canning involve much more extreme temperatures, which affects nutrient content. Several tests have been done on foods that have been dried, and results show that the nutrient most likely to be affected is vitamin C. All other nutrients are retained because they are not very heat sensitive. On the contrary, vitamin C is an air soluble nutrient and some of it may be lost from the cut surface of the food item. The sugar content of the food being dried: If there is more sugar present in food, it usually dries out much more quickly than if there is little sugar. The size of the food item: Of course the smaller the item, the quicker the dehydration time. This is one reason why foods should be sliced thinly and evenly so they all can be dried quickly and at the same time. The amount of water in the food: As you would expect, the higher the water content, the longer the drying time. If there is little water, the dehydration process is very short. The method of dehydration: There are three main methods of dehydrating foods. 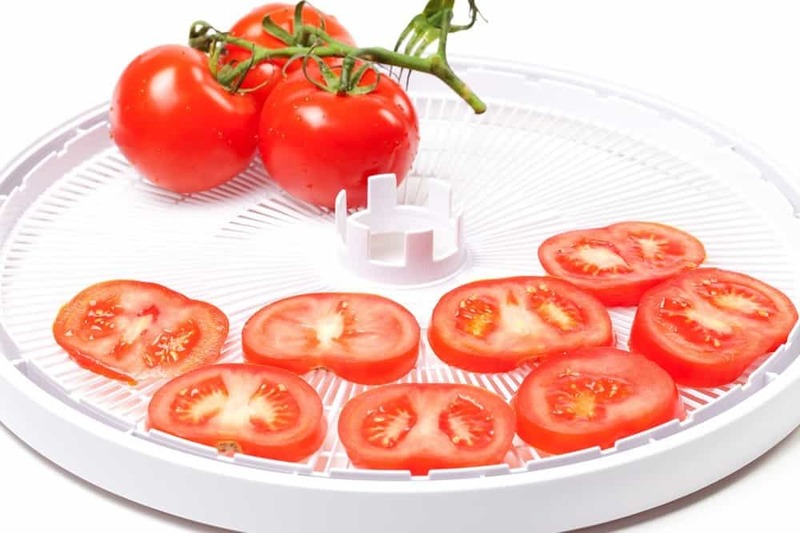 You may dry foods in the sun, in an oven or you can use a dehydrator. 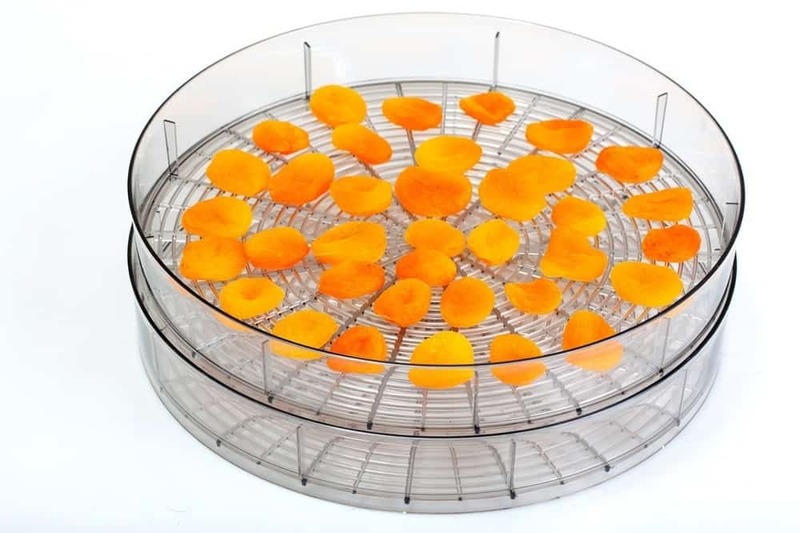 The drying time is shortest if a dehydrator is used and longest if the food is sun-dried. While the dehydrator will take hours to complete the process, it may take days if the sun is used. Apart from preservation, there are other reasons why you may lean towards dehydrating a food item. Dried foods are easy to store because they have lost water. The loss of water leads to both a reduction in mass and size. This means that the food will occupy less space. No preservatives or additives are required for the process. It is a completely natural process and the food remains nutritious. Because of the weight of dried foods, portability is enhanced. It will be much easier to carry since it is more compact. This means that you can easily take these foods hiking, backpacking or anywhere you go. It may help you reduce waste. Instead of throwing out uneaten food that has become spoilt, you can preserve these items for later use. This will in turn help you save money.